This is a very nice little Bible - leatherbound, embossed with a horsehead, detailed stitching, etc. It's marketed by the publisher as a youth edition, but it's the regular bestselling NIV version (words of Christ in red). 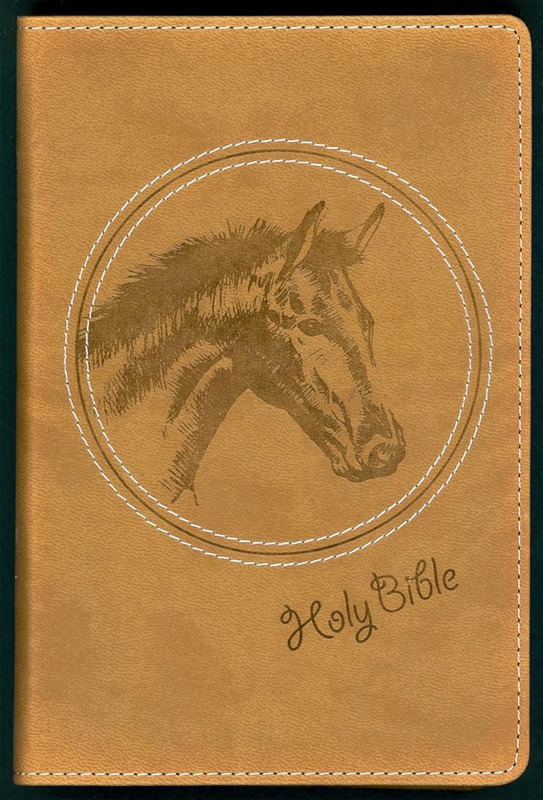 Features 12 color pages of horse photos accompanied by inspirational thoughts and scripture verses, and a presentation page in the front for gift giving. Pages are edged in gold, and has a built-in ivory bookmark ribbon. 964 pages, leatherbound soft cover measures 41/2" wide x 6 1/2" tall. Comes gift boxed.